Phil Taylor, Artist, The American Fallen Soldiers Project ~ November 2013. 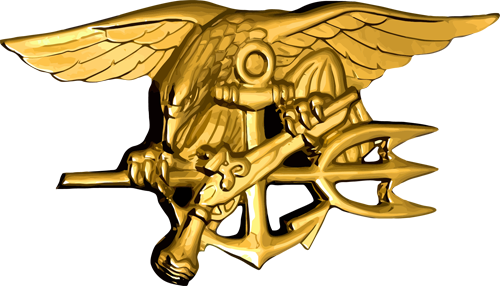 Unit: Seal Team 6, Naval Amphibious Base Little Creek, Virginia Beach. David screened for, and passed, the difficult and demanding seven-month training program at Naval Special Warfare Development Group (NSWDG). He served with distinction during a magnificent tour at NSWDG where he excelled as an operator and Lead Navigator. 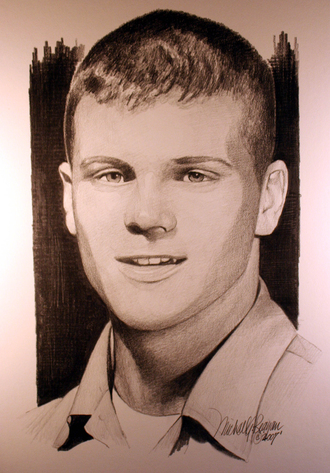 The Department of Defence announced today that Petty Officer First Class David M. Tapper, 32, of Camden County, New Jersey, died of wounds received in action August 20, 2003 in Afghanistan. 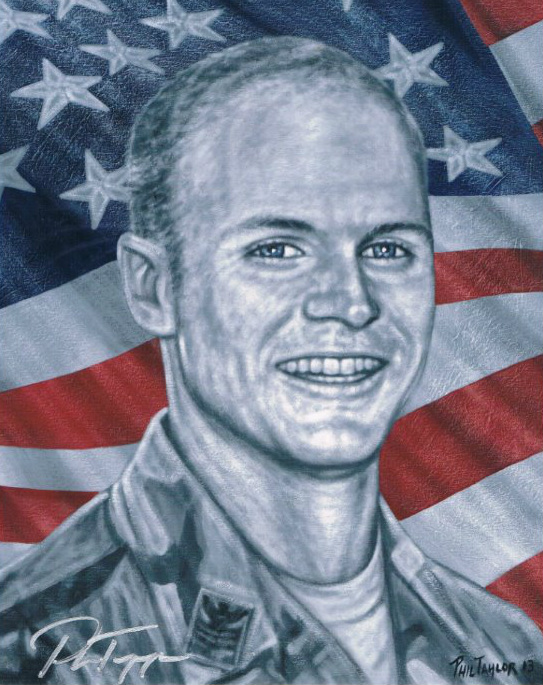 Often called upon to conduct the most harrowing missions, Tapper took part in the April rescue of wounded POW Jessica Lynch, then helped recover the bodies of nine American soldiers buried near the Iraqi hospital where she was held, according to friends and the Tapper family. When Debbie Savje hiked to the top of a chilly mountain, a special pair of gloves warmed her hands -- and her heart. The gloves once belonged to David Tapper of Atco, a Navy SEAL who lost his life fighting in Afghanistan. Savje wore them last week as she scaled a wind-buffeted peak in New Hampshire to honor the sailor's memory. 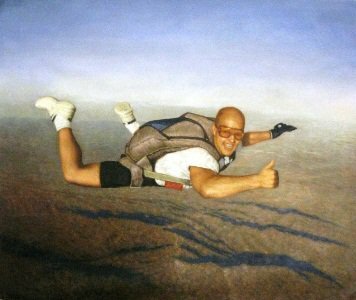 "I know his spirit was with me that day," said Savje, a 59-year-old veterans activist from Marshfield, Mass. "I felt his strength. "Savje scaled Mount Washington on Tuesday, which would have been Tapper's 40th birthday. She went up four days before the eighth anniversary of his death.Mount Washington, which rises 6,288 feet, is known for its nasty weather. And the Northeast's tallest peak fulfilled that reputation for Savje. "It was horrid," she said, describing a 4.5 mile, rock-strewn route made more challenging by a steady rain. She and a hiking partner began their climb at 3:30 a.m. and reached the mist-shrouded summit near 1 p.m."The base of the mountain was only around 62 degrees," recalled Savje. "It was 40 degrees on top, but there was a wind chill. "She's not complaining, though. "My discomfort was only temporary," she said. 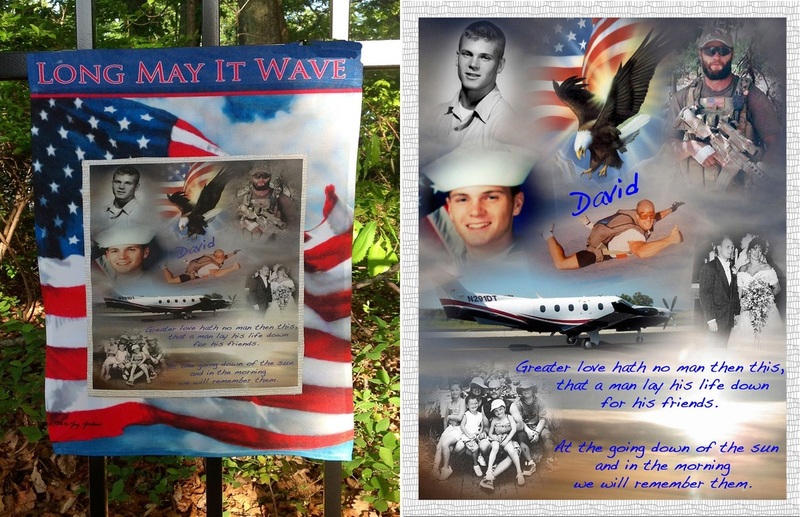 "The pain for David's family will never go away. "It was the ninth such ascent since 2003 for Savje, who received the gloves from Judith Tapper, the SEAL's mother. "I was so honored that she was going to do this," said the Atco woman, who heads the New Jersey unit of American Gold Star Mothers. Her calling card for that post shows a photo of David Tapper in combat gear and reads "proud Navy mom. "Judith Tapper notes her son's military gloves have made other symbolic journeys.A serviceman from the former McGuire Air Force Base in Burlington County carried them in 2007 during an 11-hour trek to commemorate the Bataan Death March of World War II.The gloves also have flown in military aircraft during missions over Afghanistan, Tapper observed. "The person (seeking to honor David Tapper) always asks for something personal . . . to carry with them," she observed. "I felt as though the gloves were small and could be placed in a pocket or vest or wherever they want without being cumbersome. "Savje, who's known Judith Tapper since shortly after her son's death, welcomed that consideration. She's hiked before carrying a flag in honor of the fallen warrior. "It takes a lot of time if you have a flag. People always want you to unfurl it," said Savje, who belongs to Rolling Thunder National, a nonprofit that works on behalf of POW-MIAs and other veterans. "When Judi said, "I have something special for you,' " I figured it was going to be another flag," she sighed. Instead, Savje said she was dumbstruck to receive the gloves -- in part because she had lost her own pair on her final climb of 2010. "It was just divine inspiration," said Savje. "And I could feel David encouraging me every step of the way."